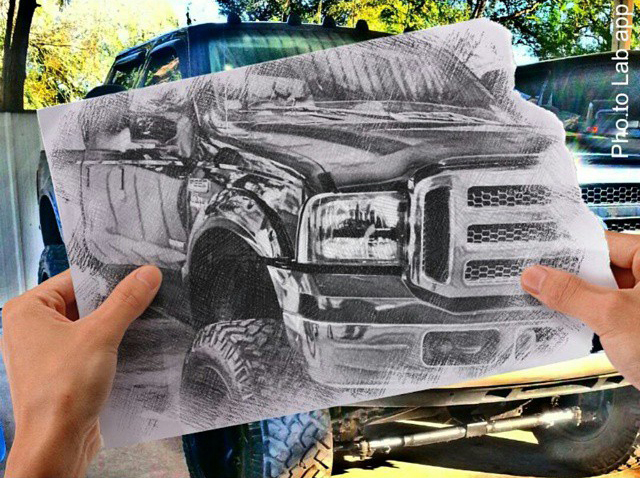 We don’t quite know who started this, but it definitely is cool. Your attitude and fantasy amazes us all the time, including this one! 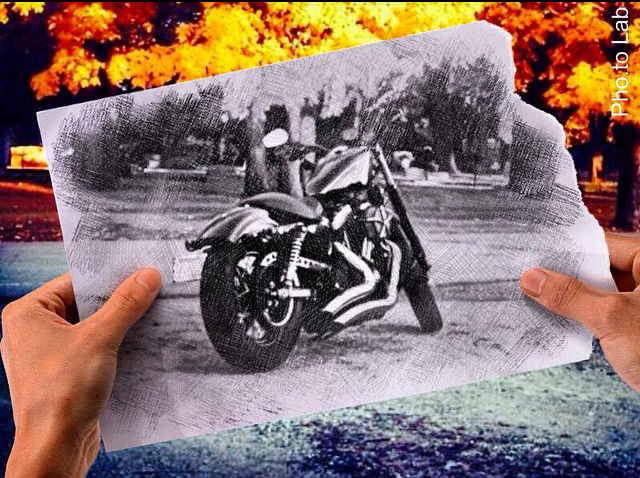 Let’s look closer at this story about tough cars and motorbikes and their owners who like to take photos of their metal beasts. 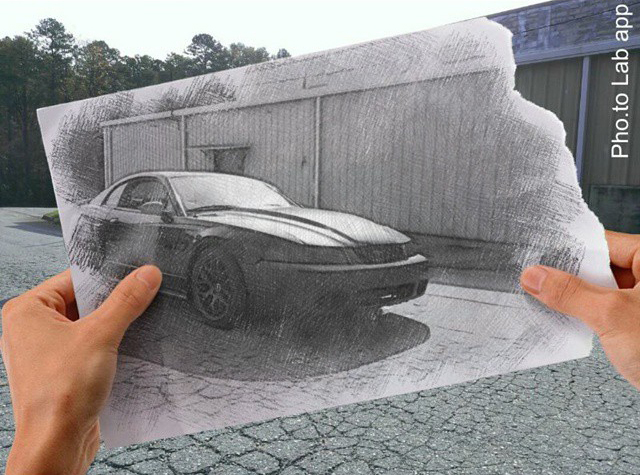 Recently Instagram users have found out how wonderful their cars and motorbikes look being turned into a pencil sketch. 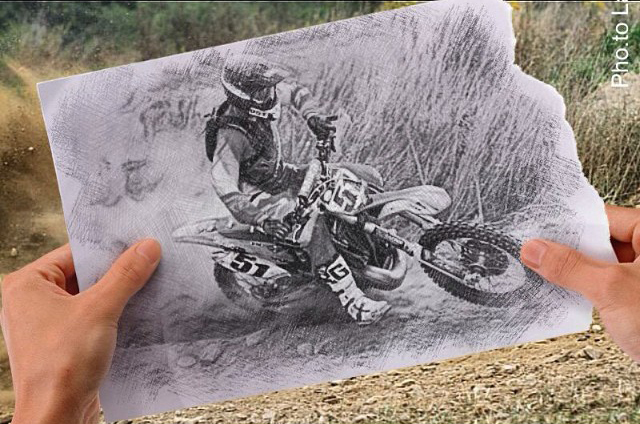 Many of them used our ‘Pencil vs Reality’ photo effect made after the Ben Heine’s pencil vs camera photography series. The result was literally magnificent and we are glad to share some of these photos with all Pho.to fans. 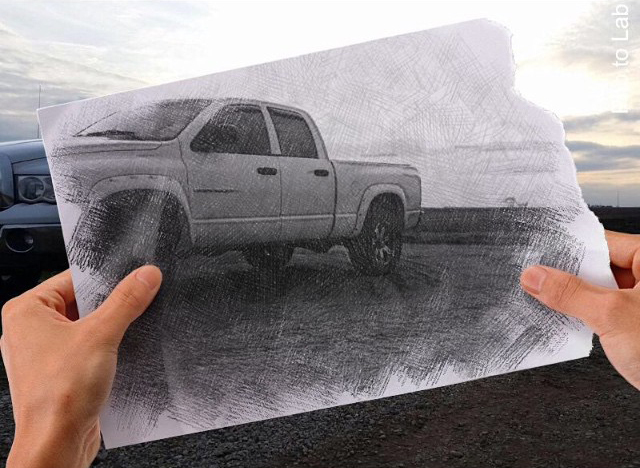 You can see more photos by clicking #pencilvsreality #pencilvscamera and #carvsreality hashtags on your Instagram. As always, good sense of humor makes everything even more interesting. 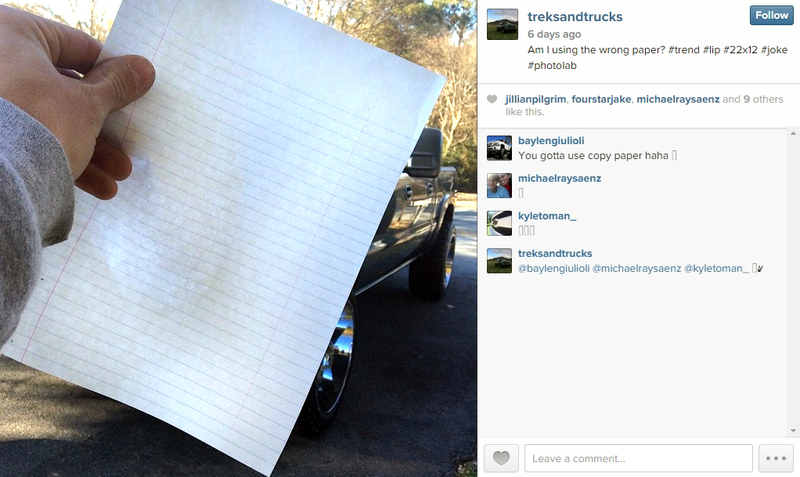 @treksandtrucks fan page asked if they had used the wrong paper while taking the shot. 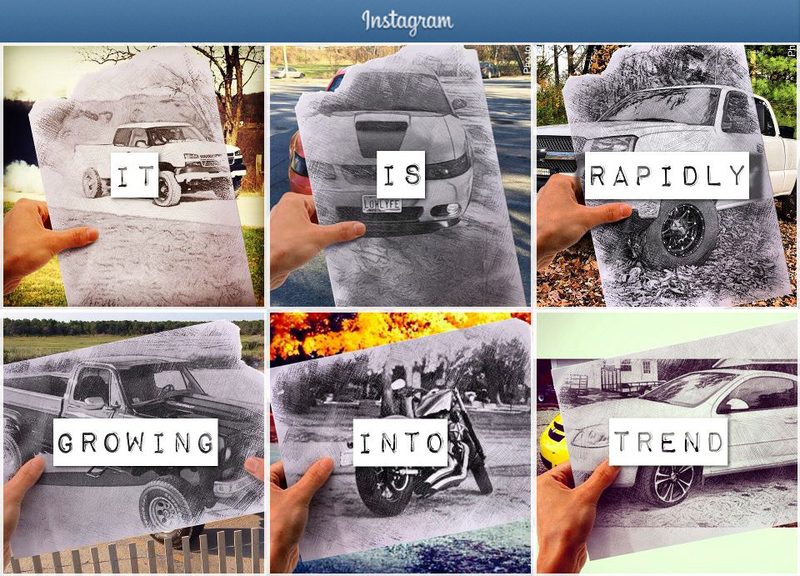 And this is what car photographers themselves think about this new trend. @ericgreff259 I’m only doing this because everyone else is saying “everyone else is doing it so why not”. So why not? @kmac0694 Figured I’d might as well do one of these too! @etown713 Finally catching up with these youngsters and all of their new apps and whatnot! 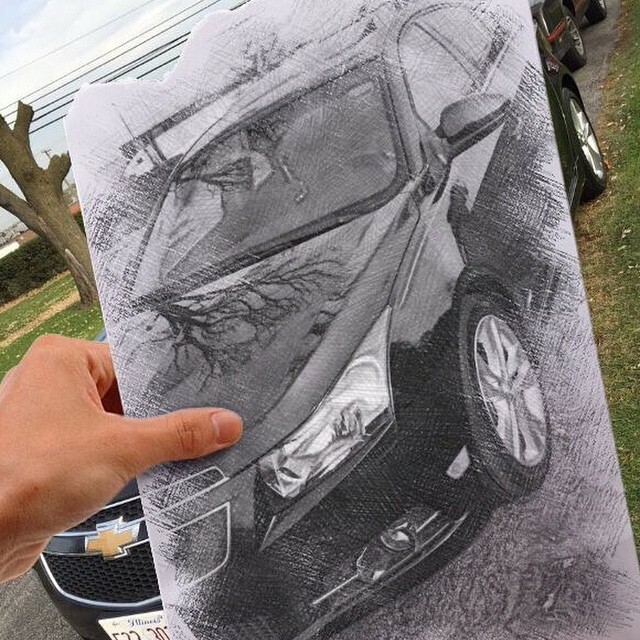 If you’d like to join the trend just take a similar photo of your wonderful car, edit it with the Pencil vs Reality photo effect and share it on your favorite social network. 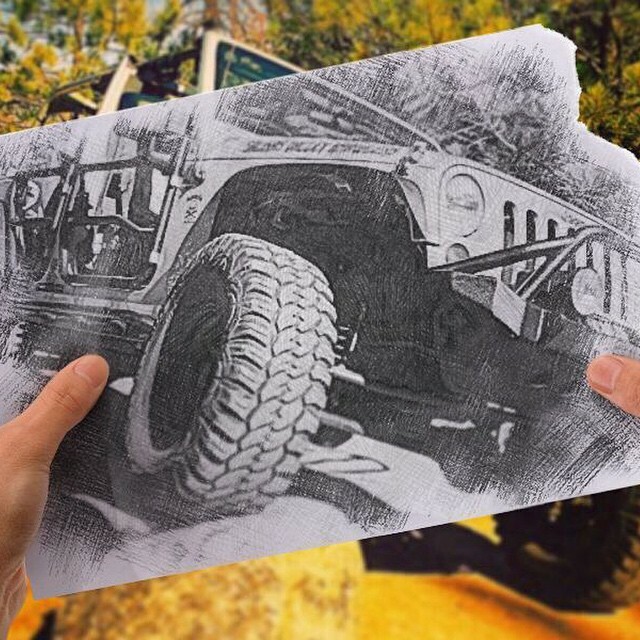 Be sure to add at least some of these hashtags: #carvsreality #pencilvsreality #pencilvscamera #photolab. 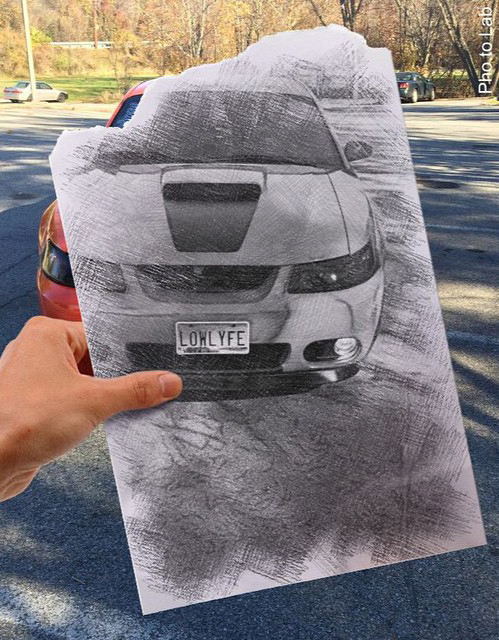 You can also edit car photos right from your phone with free Pho.to Lab app for iOS and Android. Follow our news here or on Twitter, Facebook, Google+ and Instagram to not miss more interesting stories and trends. Previous Previous post: Meet New Arrivals from Pho.to Users! Next Next post: Show your inner self with new Pho.to effects. Are you a pirate, a nun, a native american or a panda?